In 2012 Jessica Learmonth competed in her first professional Triathlon event, taking an impressive 5th place in the Elite Virgin Active Triathlon. Since then this incredible sportswoman has gone on to compete at the highest levels of the sport, earning a reputation as one of Britain’s finest athletes: she recently won silver medals in both the individual and mixed relay events at the 2018 Gold Coast Commonwealth Games. Jess joined the UK Sport Lottery Funded World-Class Performance Squad in 2015. Originally from Leeds, she is based at the Leeds Triathlon Centre where she is coached by Ray Butters. Swimming is a particular strength for Jess, having won a National Championships freestyle medal whilst competing for the City of Leeds Swimming Club. Learmonth’s achievements include 1st places at the 2016 Quarteira ETU Triathlon European Cup, the 2017 Gran Canaria ETU Triathlon European Cup, and the 2017 Kitzbühel ETU Triathlon European Championships. 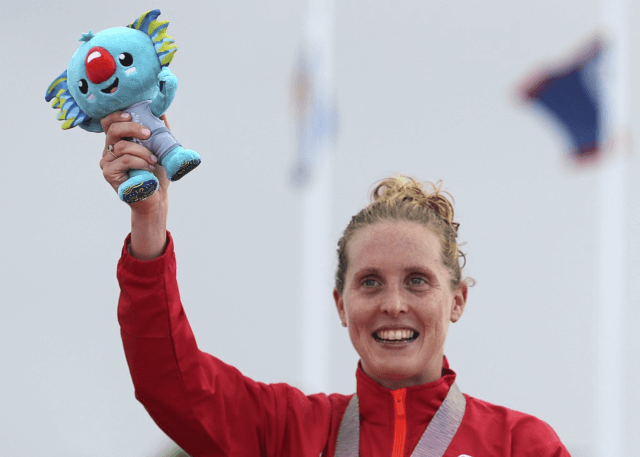 She achieved silver medals in the individual and mixed relay events at the 2018 Gold Coast Commonwealth Games in addition to 2nd place at the 2018 Glasgow ETU Triathlon European Championships in August.